Monday has kind of unofficialy become my scrapbooking post day. So I decided to make it official. 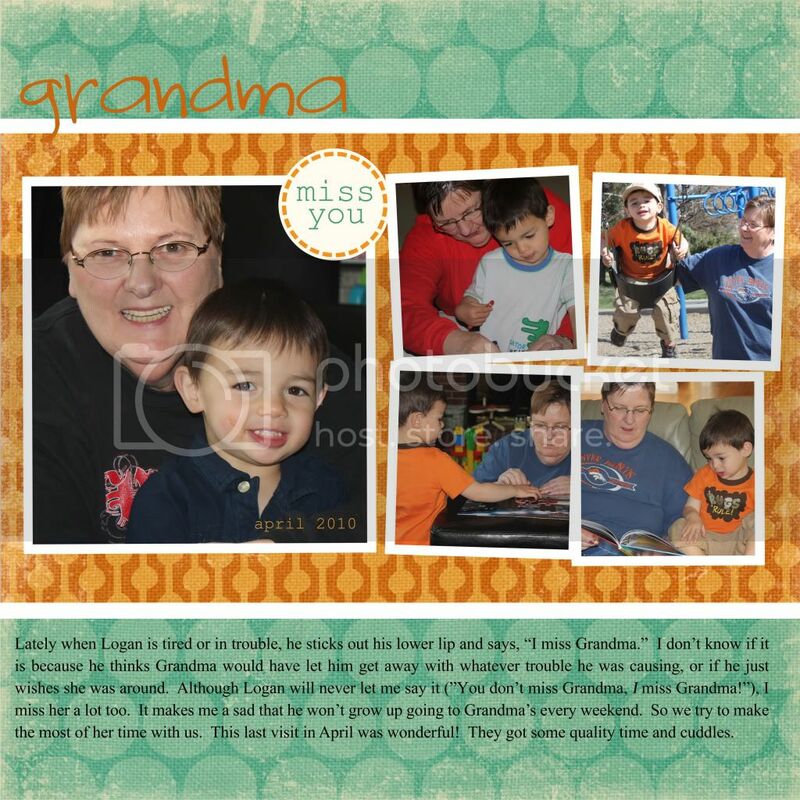 I did this layout recently with some photos of my mom and Logan from her last visit.